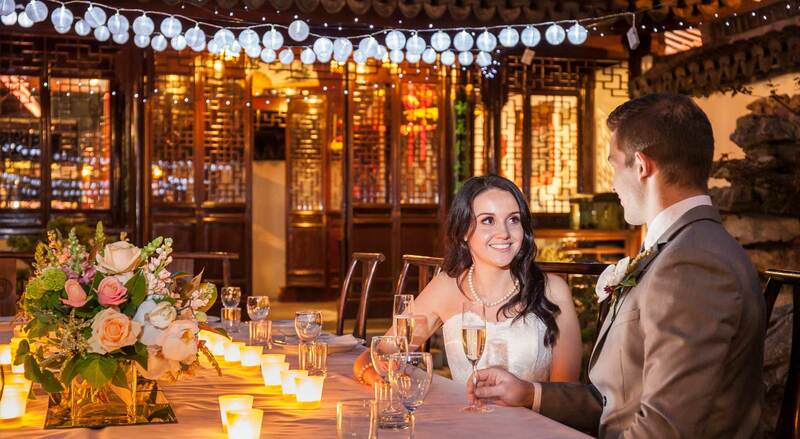 The Chinese Garden is an inimitable venue for weddings - its stunning landscapes, and its tranquil spaces make it the perfect place for a secluded event that's all your own. The four-metre perimeter wall encloses you and your guests in your own private sanctuary and the rest of the world seems far removed. Contact us for more information, or if you have questions. We encourage you to make a time to come and see us and view the facilities – there is no obligation and it gives you a great of idea of what we can do for you.